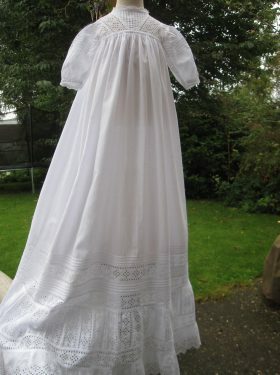 Wow, this is a gorgeous little example of Edwardian luxury. 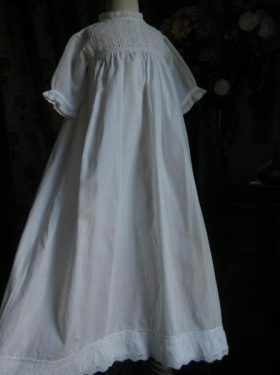 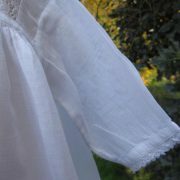 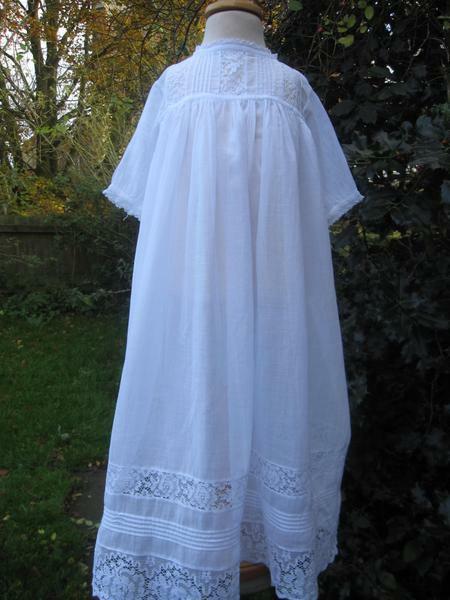 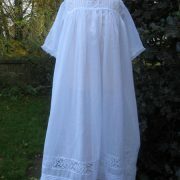 It is shorter in length and in absolutely perfect condition and made from a very muslin feel cotton. 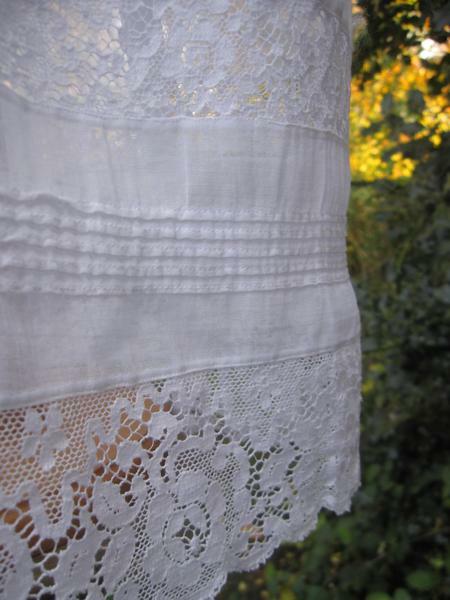 A high yoke is decorated with alternating vertical bands of lace and pintucks to create a delicate front. 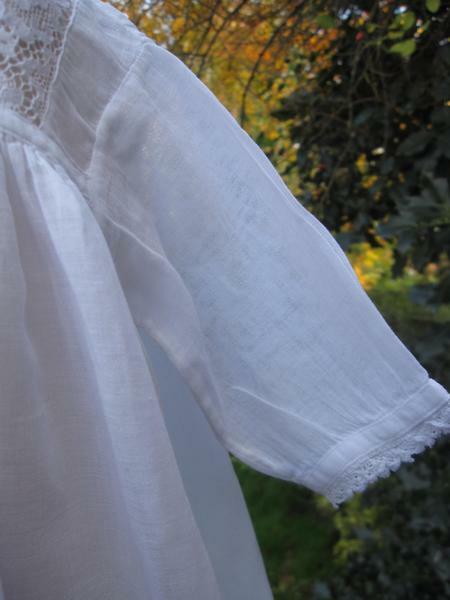 The sleeves are long and full and decorated with narrow lace at the small cuff. 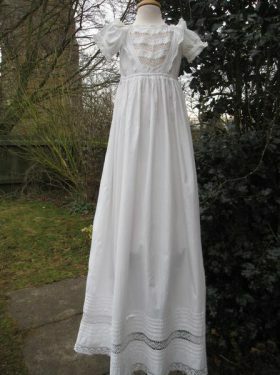 The neckline also has the same lace trim. 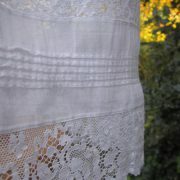 The skirt is full, simple and beautiful. 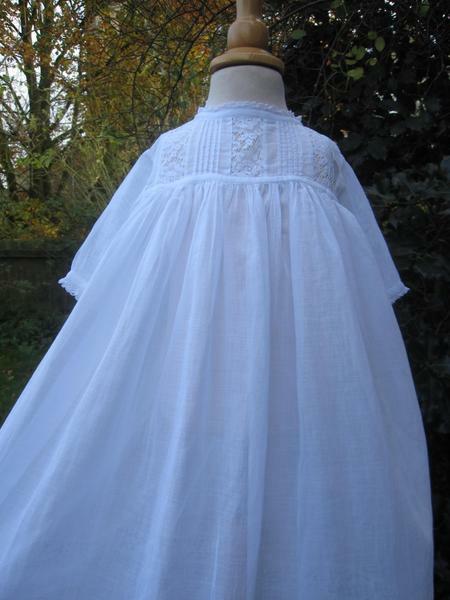 Typical of the era, it is plain to the bottom 6 inches where you get the most gorgeous alternating rows of pintucks and lace. 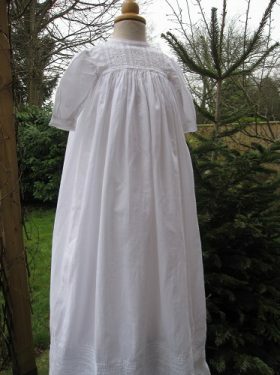 This christening gown simply is delightful and will be a treasure to own and pass down as an heirloom for future generations. 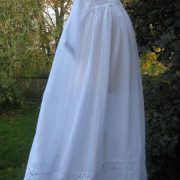 As the gown is so sheer, it may be advisable to wear a petticoat underneath. 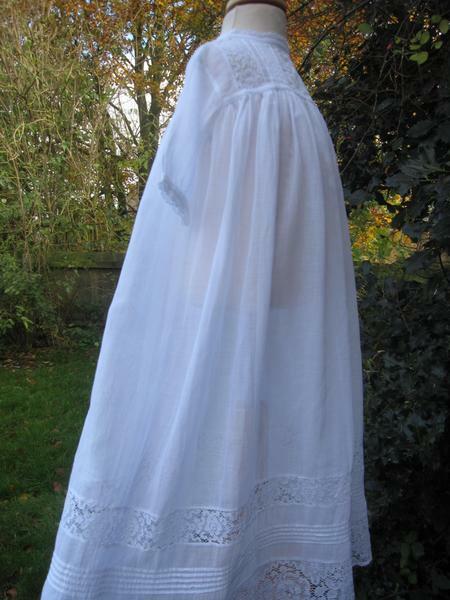 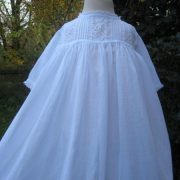 Edwardian style petticoats can also be obtained from Little Doves.